Kenya, just like most countries in the world, requires all cars (or their drivers) to be insured before they can be used on public roads. If you fail to buy insurance for your car, and then proceed to use in in public, you risk legal action. You are also required by law to display the car insurance certificate on the windshield of your car (or other part that makes it possible for an officer to inspect it from the front or front-left of your vehicle). If you drive a car without insurance, you are risking a fine of Ksh 10,000, and a creative officer can also include charges like “reckless endangerment”, among others, making it a very costly proposition for you. If not for the purposes of making your car street legal, then you should at least think of insurance as a way of protecting your investment in it. Cars are not cheap, and they tend to be the most expensive single item you may own (if you don’t own a house yet). Its therefore in your interest to buy motor insurance to protect that investment. If anything happens to your car, things that are covered by your insurance policy, you will not lose money. Accidents happen. No one wakes up with the intention of causing one. Every day in Kenya, several serious accidents and tens of minor accidents occur on our roads. These accidents are no always caused by careless or drunk drivers. Some of them are caused by otherwise well-mannered people, like you. Having car insurance in Kenya means the insurance company will pick up the tab for costs associated with the accident. This spares you financial agony that you may experience if you had to pay for repairs on other peoples cars and property from your own pocket. Did you know that an insurance policy is a legal contract? As with all other contracts, there are some documents you need to present to a car insurance company in order to get a policy. Here are the documents you need have before talking to a car insurance agent. Insurance companies will ask you for a form of identification before they process your motor insurance policy application. Usually they’ll ask for a national ID because it’s the most popular form of identification available in Kenya. You can also use other government issued forms of identification such as your Kenyan passport. For foreigners, if you have an alien ID issued by the Kenyan government, that will work. Otherwise, you passport should be a sufficient for of ID for purposes of insurance. You also need to carry your logbook as you go to see your insurer. The logbook is proof of ownership and will be required whenever you make a claim. The logbook is also important for the insurance company because it provides details of the car, such as make and model, engine capacity, age, carrying capacity, etc. These elements are used to calculate the value of premiums you will be required to pay. For the first time you buy insurance, the car insurance company will require you to provide them with a valuation report. In many cases, the will provide you with a list of affiliated valuers who will then carry out an independent assessment of the value of the car, and thereafter send the report to the insurance company. Its probably better to get that list from your insurer rather than going to look for a valuer yourself, because you will be charged less as a client of the insurance company. Some insurance companies will require a new valuation periodically to adjust the value of the total sum assured, factoring in wear and tear, and depreciation. The insurance company will also expect you to fill out a motor insurance proposal form. This form is the one used to assess your risk levels. An underwriter will examine it and will calculate the premiums you need to pay for the risks you would like to be covered. Most companies have the insurance proposal form on their websites for easy download. It is however advisable to fill the form in the presence of an insurance agent to ensure you get full clarity on the matters it raises, and a full understanding of the consequences of each of your responses. Giving false information on your proposal form can void your insurance. 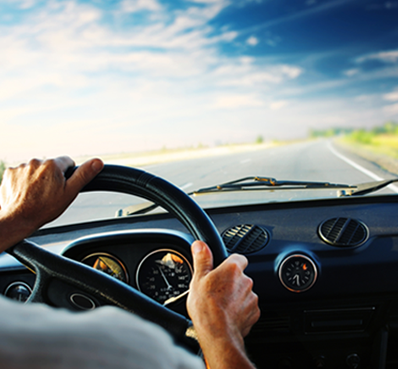 The comprehensive car insurance policy provides an insurance cover against the widest range of risks. The risks covered under the comprehensive policy includes theft, fire, accidental damage, and total loss. A third party cover is the most basic insurance cover. This protects third parties only in the event your car is involved in an accident. It is also the cheapest cover. Third party covers are generally not advisable for personal cars especially if they are high value cars since you can lose a substantial sum should you lose the car to an accident or through theft. It is nonetheless an option for any vehicle owner who has a cash flow problem. Personal Accident Cover- Most comprehensive insurance covers give you the option of bundling your car insurance cover with a personal accident cover at a discounted rate. Car insurance covers usually don’t cover the owner of the car (passengers are usually covered though). A great policy is nothing if it does not come from a great company. When making the decision to buy an insurance policy, you will do well to consider whether the company is a great company. To make this decision easy for you, here is a short list of the things you need to consider when evaluating the company to buy insurance from. As a rule, insurance companies are very aggressive when it comes to collection of premiums. Once you have signed a deal, the company will work hard to make it as easy (and urgent) for you to pay up your premiums. Your premiums payment is a revenue for the insurance company. On the other end of the stick, when you make your claim, any insurance company will not be as eager to pay out the claim. For the company, that is an expense. The good news is that provided the company cannot prove foul play on your part, it is obliged to honor your claim. When shopping ask them about their claim settlement plans and practices and compare the period and conditions, they attach to claims settlement against their rivals. Choose a company that has the best claim settlement practices. The financial health of an insurance company is the best guarantee that the company will honor your claim should you need to make one. How do you tell whether a company is in good financial health? The answer is actually very simple. Google it! If a company is in trouble, you are likely to find information about their troubles online. Also check the Insurance Regulatory Authority (IRA) website and other reports from leading audit and financial services companies. If you see any red flags, move on. If a company is growing, then it is doing something right. You want to be part of a company that is actually becoming better at what it is doing. Again, you can get this information online to help you evaluate whether to be part of the company or not. Car insurance companies in Kenya struggle with one thing, more than any other-customer service. The nature of insurance makes it very challenging for any company to keep up with all its customers. In many cases, the only time the company interacts with its clients is when it is handling premium payments. You want to be a part of a company that values you as its customer. Analyze your interaction with the marketing staff, see how you are transited to underwriters, and how well the company serves you. How well do they support you as you make your buying decision? Is their website friendly? One of the ways of knowing whether you are in good company is by whether your preferred insurer actually keeps in touch with you, quite apart from when your premiums are about to fall due. Many companies stop communicating with you as soon as they have your business, a terrible mistake. A quick way to tell whether a company is good at keeping in touch is sending unsolicited emails and evaluating how long they take to get back. You could also check how quick they are to respond to you in social media and when you fill the “contact us” form on their website. A company that keeps in touch is likely to be supportive should you need to make a claim. The answer to a good policy is not a cheap policy. We like to think of it as a competitive policy, one that just meets you needs, and at the right price. If two companies are offering you policies that are exactly alike, and one charges lower, by all means take the cheaper one. However, don’t equate a cheap policy to a good policy. In the same way don’t assume an expensive policy is a better policy. Find out what is included and what is excluded. Usually you will find a catch somewhere. We believe that you have a right to get the best deals on car insurance Kenya. That’s why we developed a quote comparison system that allows you to find the best car insurance rates in Kenya for every class of insurance. See some of the reasons why you should compare insurance quotes online. Our system will make it possible for you to save money by showing you where the best deals are. We highlight any deals you can enjoy and we make it possible for you to see in a glance the companies that have the best quotes in the market at any one time. As you compare quotes using our system, you will be able to see all the coverage options available from leading car insurance companies in Kenya. Our online comparison form allows you to tweak your preferences in ways that gives you results that address your needs. Buying car insurance in Kenya can be a very expensive affair if you do not have the right knowledge. Every insurance customer should be able to access insurance products at the most competitive price levels. Getting cheap quotes for your car insurance is not only possible, but is also within your reach. Here are some ways you could use to get cheap motor insurance quotes. The easiest way to get a poor deal in any market is shopping when you are desperate. Last minute shopping makes you vulnerable and limits your chances of getting a good deal. We encourage you to start shopping early for your car insurance so that you have the time to compare quotes and to get the best deals possible for your insurance. Another way of getting the best deals possible is comparing quotes online. In Kenya, insureafrika is the market leader when it comes to comparison of quotes for car insurance and all other classes of insurance. We invite you to compare your car insurance quotes on our site and see just how much you can save by comparing quotes online. Its fast, its free and it works. It is also a good idea to talk to car insurance agents to find out what they have for you. Insurance agents tend to have access to information about whats hot in the market right now and can be invaluable to you. However, bear in mind that agents get the highest commissions when they sell high value products and as such, they will always try to sell you the highest priced products if you don’t ask the right questions. If you need to speak to agent right away, you can talk to our in-house agent now by dialing 0800721200. It is free. If you have the time and the nerve, you can also ask for deals from insurance companies regarding any special policies and special offers they may have. Talking to car insurance companies directly can give you insights into how the market looks like. One of the scariest things that can happen to you on the road is to be involved in a road accident. Thankfully, most accidents on the road are usually minor ones where cars only get scratches and minor dents. It is critical for you as a driver to know what you need to do in case you are involved in an accident. Here are some tips that can make the experience less stressful. Panic is a natural response to a scary situation. In many cases, panicking can actually makes things worse for you. In the event that you are involved in an accident, keep yourself under control and try to be as calm as possible, even if it is the other drivers fault. Shouting, hurling insults, blame shifting, and intimidation all don’t help. If you are in a panic, chances are that the other driver is also just as scared as you. So keep calm, and be as respectful as possible when interacting with the other driver. Make sure everyone in ok. The first thing you need to do whenever you are involved in an accident is to make sure everyone in your car and the other car are ok. Watch out for bleeding and fractures. And also make sure no one has lost consciousness. Never assume that the impact of an accident is not serious. In some cases, impacts at low speeds can cause muscle injuries such as whiplash, and more severe cases someone can lose consciousness. Once you are certain everyone in your car is fine, move over to the other car and find out whether everyone is ok. Prioritize the well-being of every other person, before you start discussing the damage to cars. There are two situations where you must call the police. The first situation is there the accident is serious and repairs will have to involve your insurer. A police report will be necessary for you to process any claims. The policeman will also determine who is at fault in the accident, a factor that is critical in the processing of claims. The second situation where you need to call a policeman to the scene is where you cannot agree with other driver on who is at fault. If the accident is minor, or if you and the other driver can agree on who is at fault, then it may not be necessary to call a policeman. In such situations, a quick assessment of the cost of repairs may be all you need to settle the matter, with the driver who accepts the fault settling the bill for repairs. In case you are involved in a serious accident, which must involve your insurer, always get in touch with your insurer at the earliest opportunity, even if you feel you are the one at fault. Your insurer will advise you on how to proceed with the situation. In fact, any time you are involved in an accident, it is advisable to talk to your agent as soon as possible to get guidance on how to proceed. This step will ease claims processing for you.